Matchy…Matchy, yup thats me! In the spirit of breaking all the fashion rules, I indulged in one of my favorites, wearing matching prints. 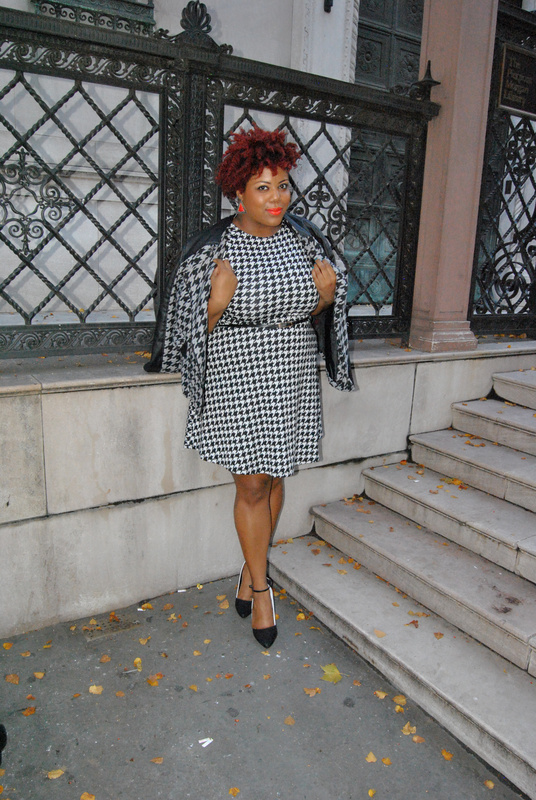 Houndstooth is such a tricky print to pull off. Over the years its been designed in many textures, styles, and colors. But theres simply nothing like the traditional black and white classic design. I won’t bore you with how much I love wearing black and white, but just know this outfit is one of my favs. Houndstooth is a very intricate print that adds a touch of elegance and class to any look. 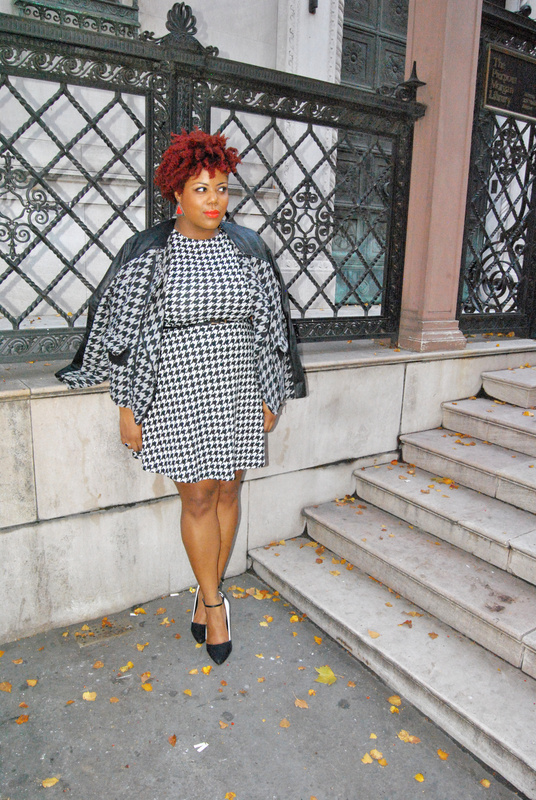 The dress speaks for it self, but I couldn’t help but rock my houndstooth leather bomber jacket as an accessory. To create contrast and add a bit more style, I draped it over as a cape. Next Post In Living Color!